If a planet is there, it's extremely distant and will stay that way (with no chance—in case you're wondering—of ever colliding with Earth, or bringing "days of darkness").It is a possible "Planet Nine"—a world perhaps 10 times the mass of Earth and 20 times farther from the sun than Neptune. The signs so far are indirect, mainly its gravitational footprints, but that adds up to a compelling case nonetheless. Batygin and his co-author, Caltech astronomer Mike Brown, described the first three breadcrumbs on Planet Nine's trail in a January 2016 paper, published in the Astronomical Journal. Six known objects in the distant Kuiper Belt, a region of icy bodies stretching from Neptune outward toward interstellar space, all have elliptical orbits pointing in the same direction. That would be unlikely—and suspicious—enough. But these orbits also are tilted the same way, about 30 degrees "downward" compared to the pancake-like plane within which the planets orbit the sun. But where did Planet Nine come from? Batygin says he spends little time ruminating on its origin—whether it is a fugitive from our own solar system or, just maybe, a wandering rogue planet captured by the sun's gravity. 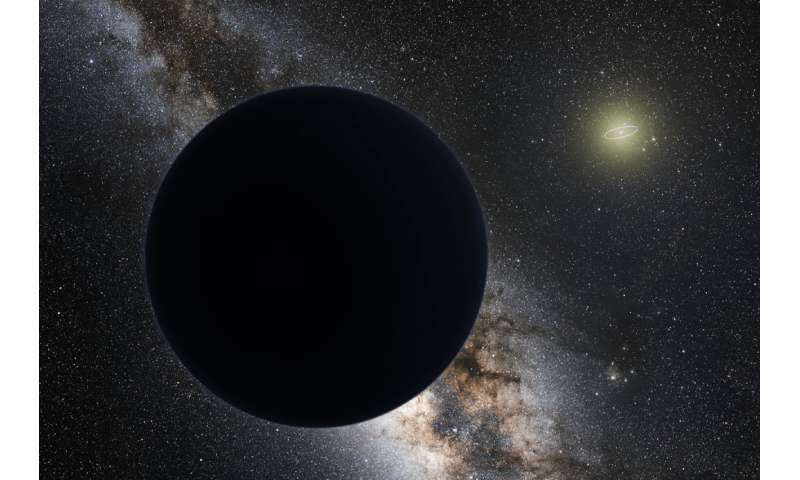 If Planet Nine is found, it will be a homecoming of sorts, or at least a family reunion. Over the past 20 years, surveys of planets around other stars in our galaxy have found the most common types to be "super Earths" and their somewhat larger cousins—bigger than Earth but smaller than Neptune. How do we know there's a Planet 9? TNOs with periods greater a few thousand years will be extraordinarily difficult to observe. With a slew of new telescopes coming online in the next few years (JWST, LSST, etc.) with widely varying (but complimentary) abilities we might actually be able to settle this. ECO, think big! The accumulation of verifiable facts over the next few decades will not settle anything. Bad News...The True Believers will continue to delude themselves that phenomena such as Planet Nine are deliberately directed at them. That the outlier planetesimal is heaven or hell. Depending upon their consumption of anti-depressant medications. The Good News is that this accumulation of verifiable data will build the opportunity to figure what questions need to be asked next. "It might be lingering bashfully on the icy outer edges of our solar system..." It might not be real. Let's see some telescopic images. And it should be Planet X. Not Planet Nine. That's either Neptune or Pluto, depending on whether you accept a simple geophysical definition in which hydrostatic equilibrium and orbiting the Sun independently (or not orbiting any star) is enough, in which case Ceres would be a planet, or if you add a minimum diameter of 2000 kilometers. This object, if it exists, would be Planet 14 and counting. Joshua's longest day, in 1448 BCE, was documented and recorded by ancient Chinese, by the ancient Inca before they lost their writing skills, and by two Canadian Ojibway tribes, to our knowledge. Only in the Middle East does this become a religious event, the area which was ground zero for "those who to earth from heaven came", supposedly. The phenomenon is a cosmological one, and is attributed to the close passing of a large planet about four times the size of Earth temporarily affecting the normal motion of the Earth. Documented evidence taken from even more ancient Sumerian clay tablets report that a large planet once passed so close to Mars that most of Mars' surface water and all of its atmosphere was sucked away. No sunspots were ever reported prior to the early 1600's. Then massive sunspot activity was recorded. Evidence of a planetary collision? Maybe there was a planet X, and we are still witnessing the gravitational effects of its passages? We found it in 2002. Cool. That's pretty good evidence, if you like William of Ockham's Razor. But I'd still like to see them actually find it and take pictures. Since we keep finding all these super earths, maybe it would be good to have one we can take a look at close up and personal. Chinese astronomers recorded solar activity around 800 B.C. ..doesn't mention sunspots, more likely prominences. ..reads like author's lead-in to the description of the "spheres". ..not sunspots, but probably transiting planets Venus and/or Mercury.